Overlooking the historic Tower of London, the luxury 5-star Grange City Hotel boasts a spa with a 25-metre swimming pool and a large gym. Featuring 2 exotic restaurants, a brasserie, and a cocktail lounge, the hotel is just 2 minutes' walk from Tower Hill Tube Station. 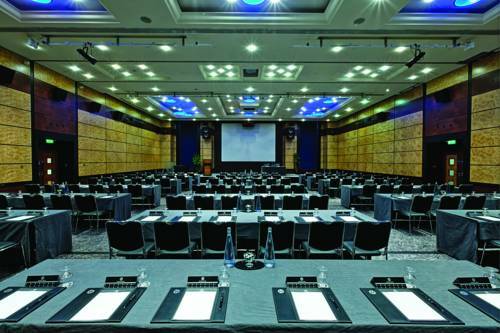 Each elegant air-conditioned room includes a flat-screen TV, a trouser press, and tea and coffee making facilities. The en-suite bathrooms have complimentary toiletries and a hairdryer. Grange City Hotel offers range of onsite bars and restaurants. Koto II serves Japanese cuisine in a vibrant setting, Forum offers a range of Mediterranean dishes, and the Lutetia Brasserie provides a traditional French menu with an outdoor dining area. A wide variety of drinks can be enjoyed in the Isis Cocktail Bar and Lounge. Leisure facilities at the Grange City Hotel include a steam room, a sauna, and a professional golf simulator for guests to enjoy. 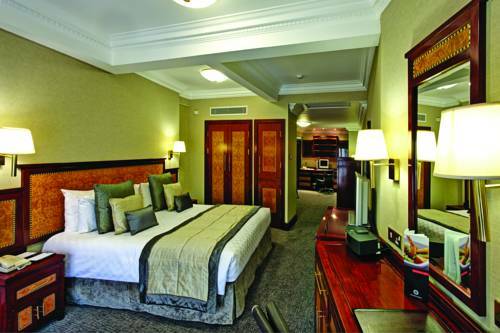 Situated in the city of London, the hotel is just 20 minutes’ walk from St Paul’s Cathedral. The Tower of London is one of London's most popular and iconic tourist attractions. Built by William the Conquerer in the early 1080s the Towers role has been as a fortress, palace and prison. 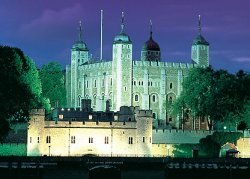 One of the main reasons to visit the Tower is to see the working collection of Crown Jewels. There are 23,578 in the collection including one of the world's most famous diamonds. Find out who dared to try and steal the Jewels in 1671 and whether they succeeded. The nearest tube station is Tower Hill on the Circle and District underground lines. The Tower Gateway station on the Docklands Light Railway is also within easy walking distance. The London School of Accountancy and Management is located in London, UK. The School offers undergraduate and postgraduate courses in accounting, business information systems, business management, care studies, computer, hospitality management, information technology, law, marketing and travel and hospitality studies. All the academic programs are offered via the School of Accountancy & Finance, School of Business and Management, School of Computing & Technology, School of Health & Science and School of Travel, Tourism & Hospitality Management. Tower Bridge has stood over the River Thames in London since 1894 and is one of the finest, most recognisable bridges in the World. At the Tower Bridge Exhibition you can enjoy breath-taking views from the high-level Walkways and learn about the history of the Bridge and how it was built. You can then visit the Victorian Engine Rooms, home to the original steam engines that used to power the Bridge. Tower Bridge Walkways have specially designed windows, giving visitors a unique opportunity to take photos of the views without them being obscured by glass. Central Film School, located at Universal House, 88-94 Wentworth Street, London E1 7SA, was established to provide a new level of practical filmmaking training. All tutors at the school are working industry professionals who provided training on industry standard equipment and software. Central Film School London offers three full-time one year courses in directing, screenwriting and filmmaking. The school also offers regular practical short courses in many aspects of filmmaking. Cannon Street is a National Rail and London Underground station complex in the City of London, the financial district of London in England. It is built on the site of the mediaeval Steelyard, the trading base in England of the Hanseatic League. It is in Travelcard Zone 1. This is a terminal station approached across the River Thames by the Cannon Street Railway Bridge and having entrances from Cannon Street and Dowgate Hill. Its approach by rail is by a triangular connection to both London Bridge and Charing Cross. There were originally eight platforms: a refurbishment in the late 1990s removed Platform 1. Cannon Street is one of seventeen UK railway stations managed by Network Rail.